The Pale & Dry X.O., a blend produced exclusively from Grande Champagne, the first cognac growth, and aged for many long years, comes draped in extremely bright, light amber robes, clear and shot through with flashes of gold that subsequently reveal its remarkable delicate elegance and distinction.<br> <br> Its boquet is characterised by the powerfulness and length of the intensely floral aromas, backed by the distinctive vanilla of its rancio. Its mellow roundness on the palate blossoms into a full-bodied fruitiness, with a slight, harmonious hint of liquorice. 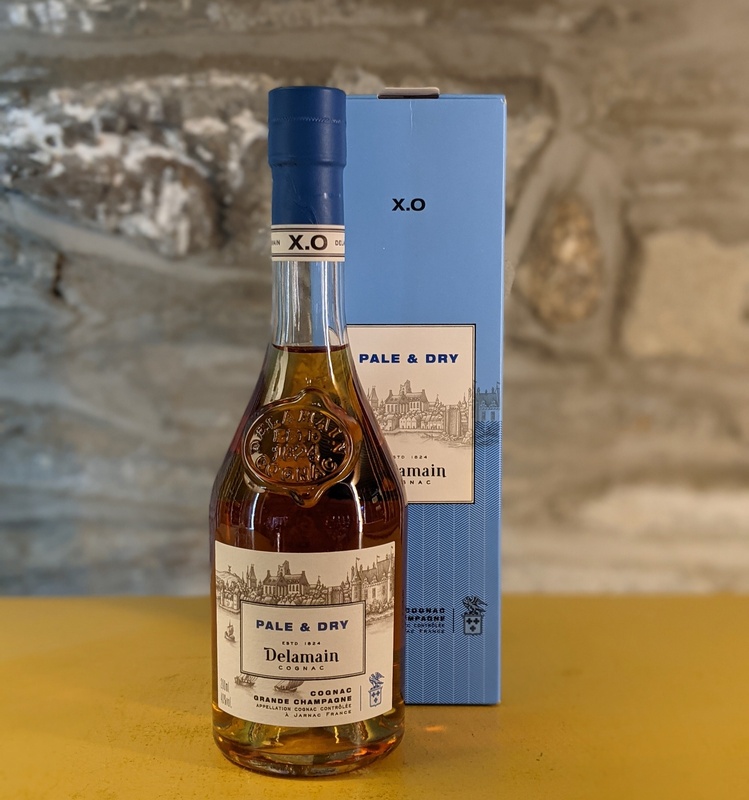 The Pale & Dry X.O., a blend produced exclusively from Grande Champagne, the first cognac growth, and aged for many long years, comes draped in extremely bright, light amber robes, clear and shot through with flashes of gold that subsequently reveal its remarkable delicate elegance and distinction. Its boquet is characterised by the powerfulness and length of the intensely floral aromas, backed by the distinctive vanilla of its rancio. Its mellow roundness on the palate blossoms into a full-bodied fruitiness, with a slight, harmonious hint of liquorice.